perfect combination of space and style. 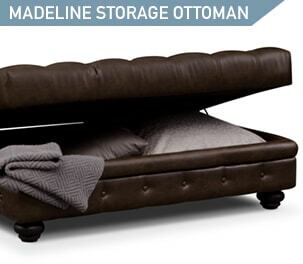 Finding storage space in any room is tough, but it’s especially tough in the bedroom. You need to find homes for your shoes, clothes, accessories, and more. 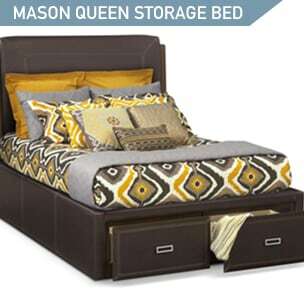 A trick is to think about storage from the moment you start shopping for bedroom furniture. 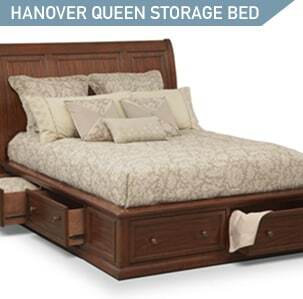 Look for a bed with built-in storage. 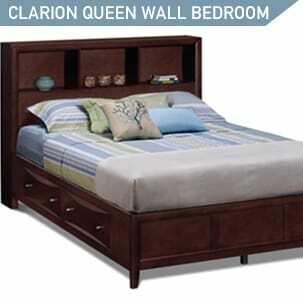 These beds give you extra drawer space (and some offer shelves too) and don’t take up any more space than a regular bed. 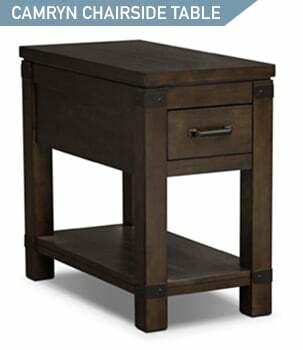 When looking at accents for your living room, focus your attention on chairside tables rather than end tables. 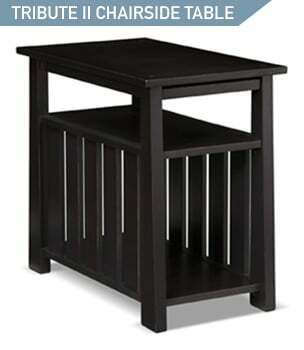 Chairside tables tend to be narrower so they can fit between a chair and a wall, or between two chairs. 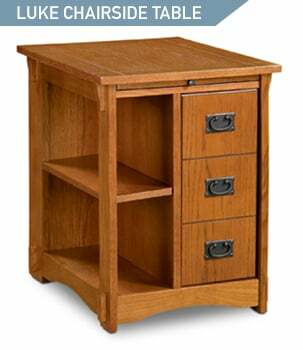 The Camryn chairside table, for example, is 14 inches wide, while the Camryn end table is 22 inches wide. These narrow tables often have drawers and shelves so you can still use them for storage, but they take up less floor space. Pieces that have two functions are more stylish than they’ve ever been; you no longer have to sacrifice form for function. For the living room, look for a cocktail ottoman. You won’t need to buy a coffee table and an ottoman – instant space-saver! 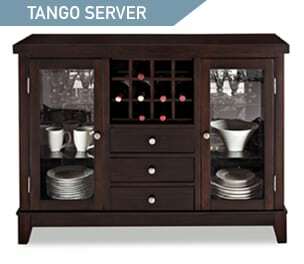 For the dining room, look for a sideboard with a built-in wine rack. 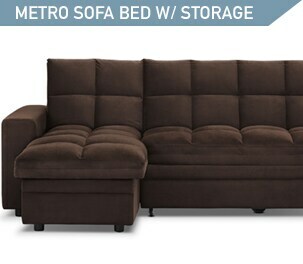 Lastly, for the guest bedroom, go with a sofa bed or futon (added bonus if it has built-in storage!) 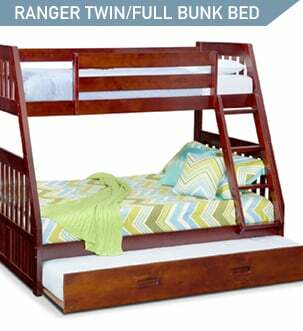 to add extra sleeping space that can be conveniently folded away when it’s not needed. So simple, but so space-savvy. 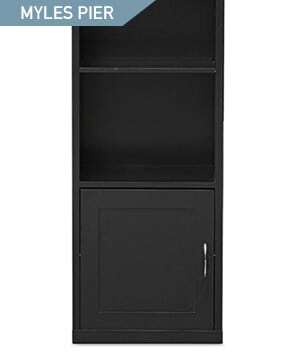 Bookcases are often avoided in small spaces because they can take up a lot of space and make a room feel smaller. 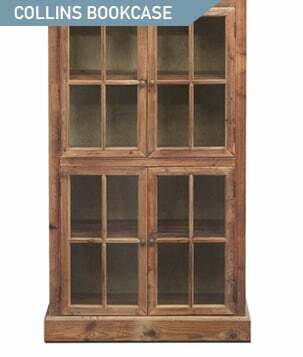 When choosing a bookcase, stick with narrow versions. If you want more storage, you can buy a pair and place them next to each other, or separate them to work better with the space you have. 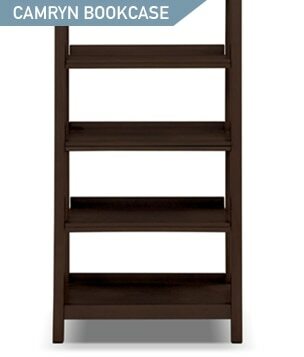 Bookcases are excellent for storing not only books, but DVDs, video games, board games, and other odds and ends. When your kids are sharing a room, space can easily be taken over by toys and clothes. There’s no room to play, and the space starts to look cluttered and overwhelming. 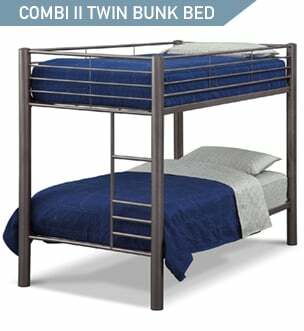 Bunk beds and loft beds can be a huge space-saver. 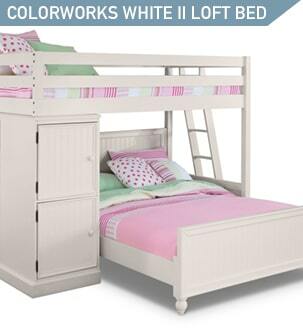 You can save the floor space of an entire bed, leaving a bigger area for your children to do the things they love. For kids who don’t have to share a room, a loft bed is a smart choice – you can fit a desk and chair underneath, or even a dresser or bookcase. When you can reorganize your home to create more space, it’s like taking a breath of fresh air. You won’t feel bogged down in crowded, cramped spaces. Remember to look for pieces that have built-in storage, multiple functions, are narrow, and that you can raise off the floor. You’ll have stylish décor you love and tons of newfound space. Perfect.